Parafollicular cells give rise to a unique neoplasm, medullary carcinoma of the thyroid, which may secrete large amounts of calcitonin. FIGURE 10 Regulation of PTH secretion. (—), decrease; ( + ), disulfide ring at the amino terminus, calcitonin has no remarkable structural features. Immunoreactive circulating forms are heterogeneous in size, reflecting the presence of precursors, partially degraded hormone, and disulfide-linked dimers and polymers. 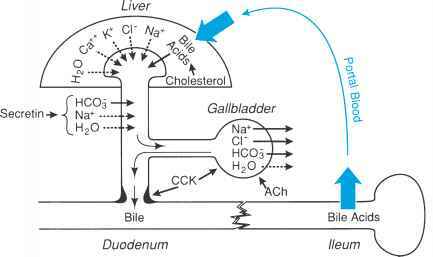 The active hormone has a half-life in plasma of about 5-10 min and is cleared from the blood primarily by the kidney. The gene that encodes calcitonin also encodes a neuropeptide called calcitonin gene related peptide (CGRP). This gene contains six exons, but only the first four are represented in the mRNA transcript that codes for the precursor of calcitonin. In the mRNA that codes for CGRP, the portion corresponding to exon 4 is deleted and replaced by exons 5 and 6. Because the first exon codes for an untranslated region, and the peptide corresponding to exons 2 and 3 is removed in post-translational processing, through activated membrane channels. Paradoxically, in chief cells, unlike most other secretory cells, increased calcium is associated with inhibition rather than stimulation of hormone secretion. It is not yet understand how these changes in intracellular messages combine to inhibit PTH secretion. These events are summarized in Fig. 11.